Swindon, UK — In 2016, Recycling Technologies was part of the first cohort of the Barclays Unreasonable Impact accelerator, which supports entrepreneurs that are providing solutions to some of the world’s biggest challenges. Two years on it has booked £65m of future sales and is opening a UK factory with capacity for 300 employees. 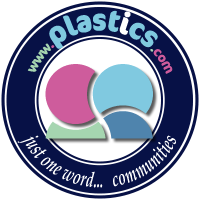 Founder and CEO Adrian Griffiths tells us the story of his company and how it plans to change the world of plastic recycling. Fast-forward to 2018, and Griffiths’ company has booked £65m of sales of their future output, while opening an assembly facility in Swindon, South West England with plans to take on 300 employees. “Petrochemical companies had been doing this at the end of the 90s, so it wasn’t so much the process that was difficult to conquer, it was how to get it to work economically. They wanted to build big central facilities and transport plastic large distances, but plastic is very lightweight and very low cost – that’s why it’s fantastic packaging material – but when it’s waste it’s still lightweight and zero value, so you don’t want to transport it any distance. So, with high capital cost and high operational cost, they couldn’t make the economics of it work. I think this question worth asking twice.